RACE BROADCAST: Live on FS2 at 2 PM CT on Saturday, February 16. 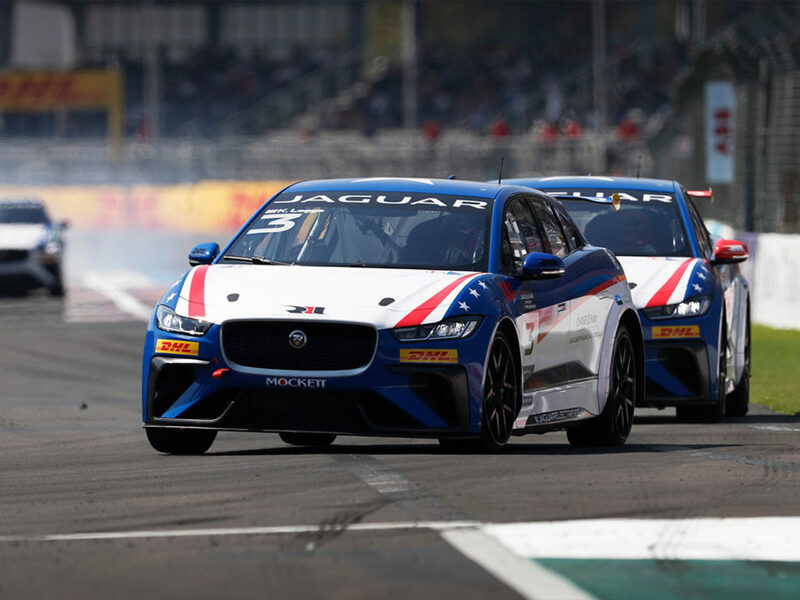 Also streamed live on Jaguar Racing’s Facebook and Twitter channels beginning at 2 PM CT.
KATHERINE LEGGE’S BEST SERIES START/FINISH: When qualifying was rained out in Saudi Arabia, Legge started 9th after a practice crash and finished 6th. Coyne Racing, respectively, with a best start of 13th and best finish of 15th (electrical). BRYAN SELLERS’ BEST SERIES START/FINISH: Started 2nd and finished 3rd in Round 1 in Saudi Arabia. SELLERS’ BEST START/ FINISH IN MEXICO CITY: First race here. RLL’S BEST START/ FINISH IN SERIES: Second / third – by Sellers in Saudi Arabia. RLL’S BEST START/ FINISH IN MEXICO CITY: Fifth by Jimmy Vasser in 2002 / Fourth by Michel Jourdain Jr. in 2003; two races. 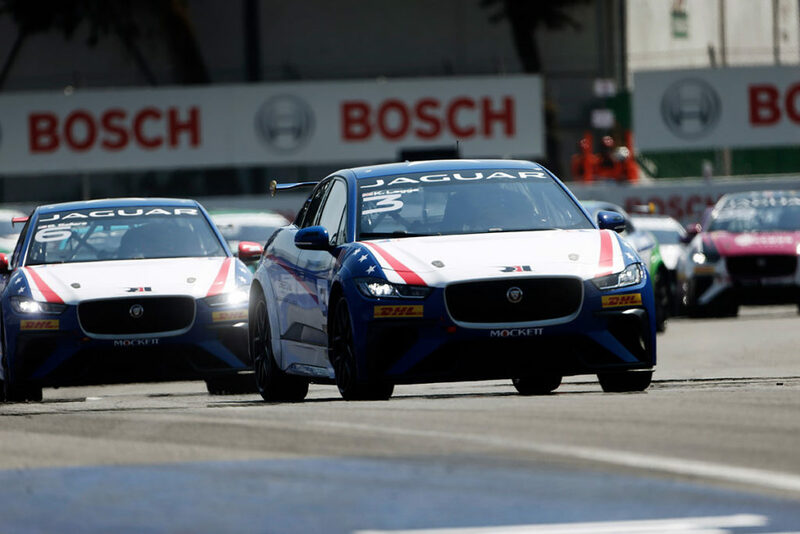 Round 2 of the Jaguar I-PACE eTROPHY will mark the team’s third race overall at Autodromo Hermanos Rodriguez in Mexico City. The team competed in Champ Car World Series events at the track in 2002 (Michel Jourdain Jr. and Jimmy Vasser) and 2003 (Jourdain Jr.) with a best start of fifth place by Vasser in 2002 and best finish of fourth place by Jourdain Jr. in 2003. 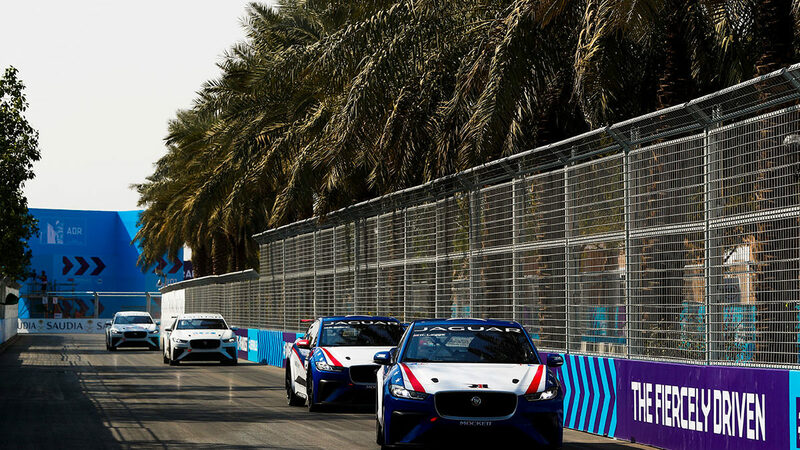 The track has been altered for Formula E and, at over 25000m above sea level, it is not only the highest in the Formula E calendar but also one of the highest in the world. 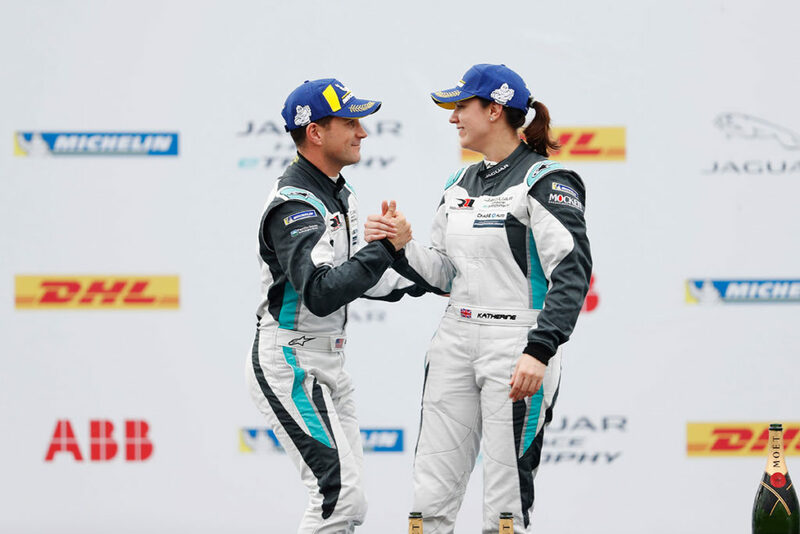 The team’s two-car I-PACE program for drivers Katherine Legge and Bryan Sellers compliments long standing programs in the IndyCar Series and IMSA WeatherTech SportsCar Championship. In the series debut, Bryan Sellers set the fastest time in the shake down on Friday and was second fastest to Simon Evans in practice by a slim -0.01 margin. After the field was set by practice times due to heavy rain on Saturday, he started second to Evans in the race. After the warmup lap, Evans missed his slot for the standing start and the field circled the course again, which resulted in the race being reduced from 25-to-23 minutes + 1 lap. Once the race began, Sellers pulled alongside the rear of Evans’s car but was unable to make a pass. As the race went on, he remained -0.1 behind Evans the majority of the time while looking for an opportunity to pass. With two laps to go, third place Jimenez passed Sellers for position and he took the checkered flag in third on the next lap. It was the first electric race for the reigning IMSA WeatherTech SportsCar Championship GTD champion. After having set the fourth fastest time in the 30-minute shake down on Friday, Katherine Legge brushed the wall early in the practice session after having set the ninth fastest time and pitted early for repairs. When heavy rains overnight forced the cancelation of the morning qualifying session, the starting field was set by practice times. In the race, she passed Bin-Khanen for eighth place then set the fastest lap of the race in the first six minutes. With 12 minutes to go, she passed Alesayi, then Rzadzinski for sixth place. She set the fastest lap of the race two more times before taking the checkered flag in sixth place. 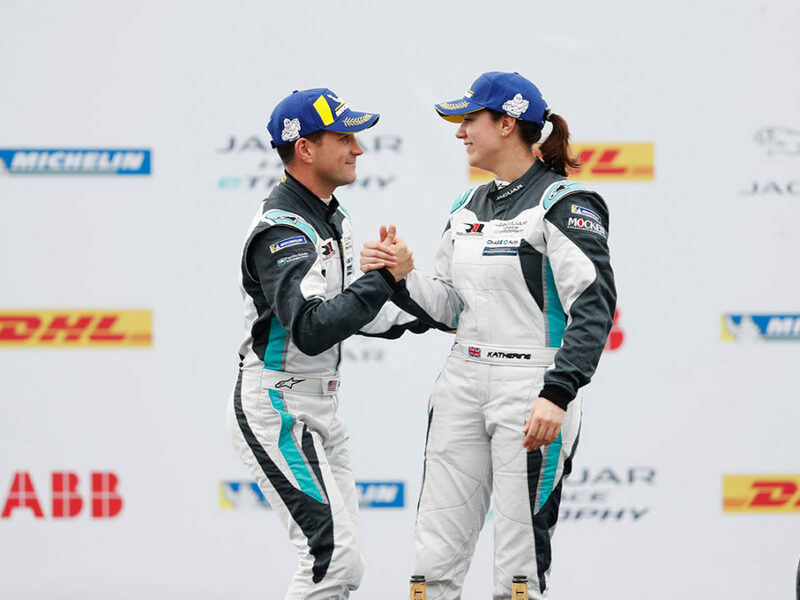 It was her third electric car race after competing in the first two Formula E races with Amlin Aguri in the 2014/2015. 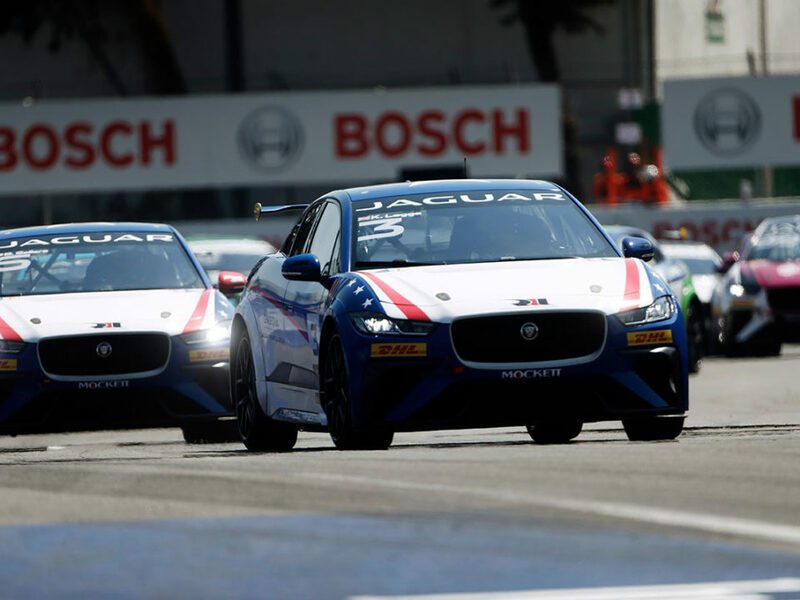 The Jaguar I-PACE eTROPHY race marked the first time women competed against men in a race in Saudi Arabia. Legge was joined by Célia Martin and VIP driver Alice Powell in the race. 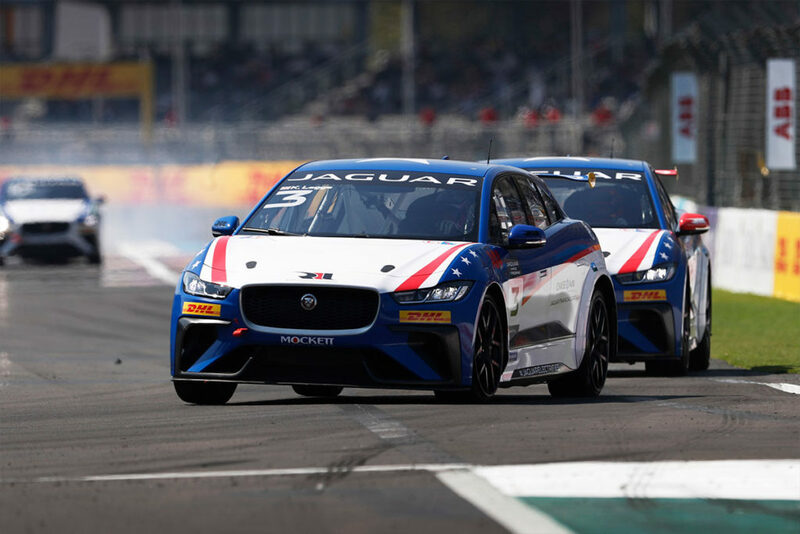 Bobby Rahal attended the series debut of the 10-race Jaguar I-PACE eTROPHY in Ad Diriyah, Saudi Arabia in December. He is optimistic that the team will be contenders at Mexico City. KATHERINE AND BRYAN ON BATTERY LIFE, TIRE WEAR AND ETC.